This week the Wall Street Journal revealed their results of a poll gauging American lifestyles and habits. Among other rising trends in young adults, video games and tattoos have stood out as prominent habits in American lifestyle. The rise of video games isn’t surprising since, as we’ve discussed on this blog before, the percentage of Americans playing video games is growing more and more each year. However, the poll has found a overlap in the number of people playing video games and having tattoos. 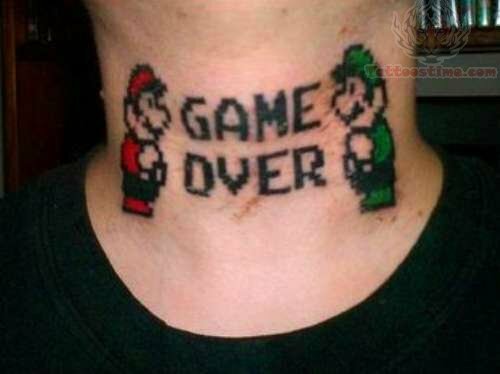 Wait, there may be gamers that tattoos? SHOCKING. 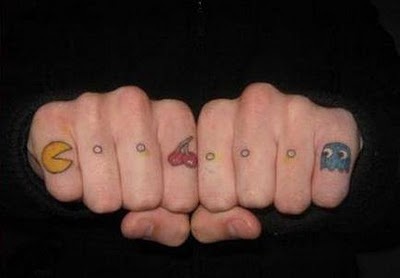 You don’t need a doctorate in Sociology to begin to hypothesize why there’s an overlap between the tatted and gamers, it’s fairly obvious that the driving force is that both mediums appeal to a younger demographic. However, as the population of Americans who play video games has grown beyond 50%, the correlation between Video Games and anything begins to weaken. If the majority of the population are playing video games, then it’s reasonable to make the prediction that many niche groups (In this example, people with tattoos) will probably be doing that activity as well. Thus, it’s not really news for “young group A” to have a correlation with playing video games, as that’s the majority of the population for young adults. MORE WORDS TRYING TO EXPLAIN THINGS. Now that video games are gradually becoming melded into American sociolization, isn’t it time that we start to accurately discussing and evaluating the medium for the increasing part of society that it is? Let’s stop being surprised that people are playing video games. Hopefully we’re doing our own part here to increase the awareness about the study and discussion of video games. This entry was posted in gaming, Uncategorized, video games and tagged Gaming, sociology, tattoos, Video Games. Bookmark the permalink.